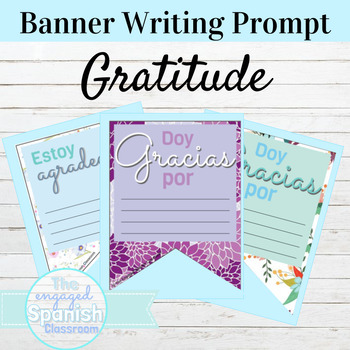 This Spanish banner is perfect for any level of Spanish class during Thanksgiving or El Día de Acción de Gracias. 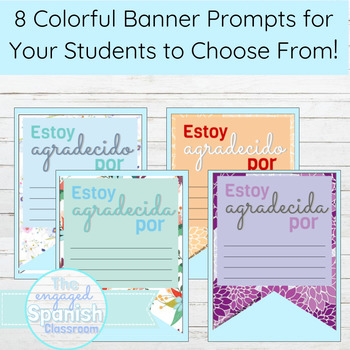 It provides space for your students to express what they are grateful for by expanding upon "Doy gracias por..." and "Estoy agradecido por..."
8 Colorful banner prompts included! 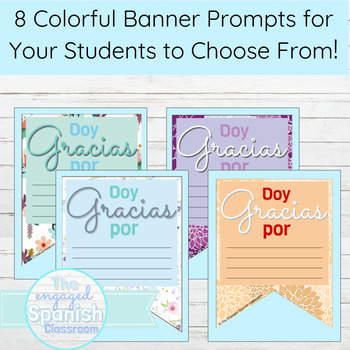 Your students can choose the pattern they like best, and then complete the writing prompt. Novice learners can fill in single words or a list! Advanced learners can utilize the space for an open-ended writing response. 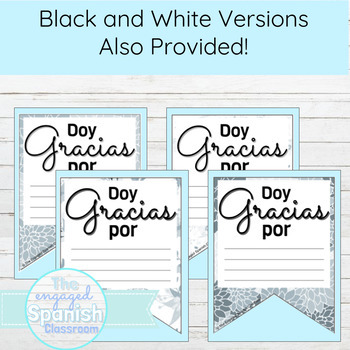 These banner prompts are ALSO provided in black and white! !